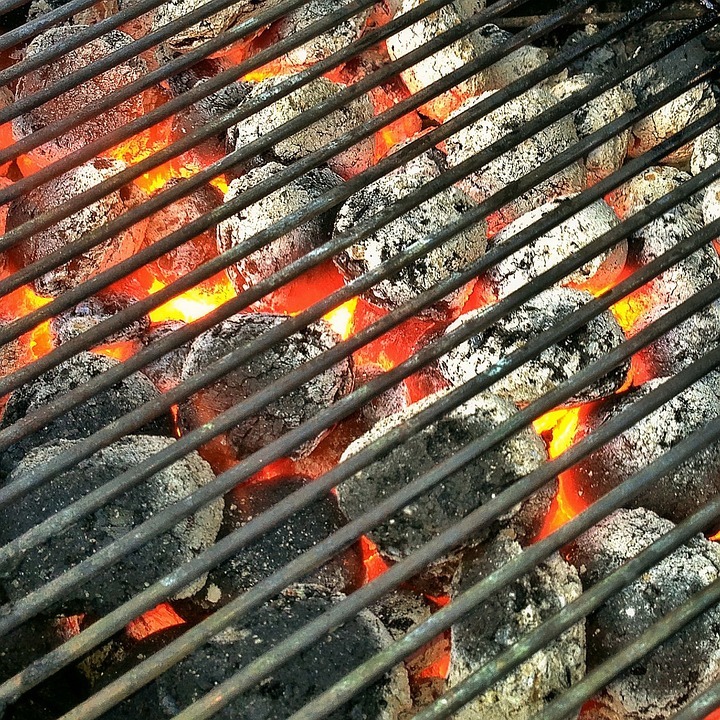 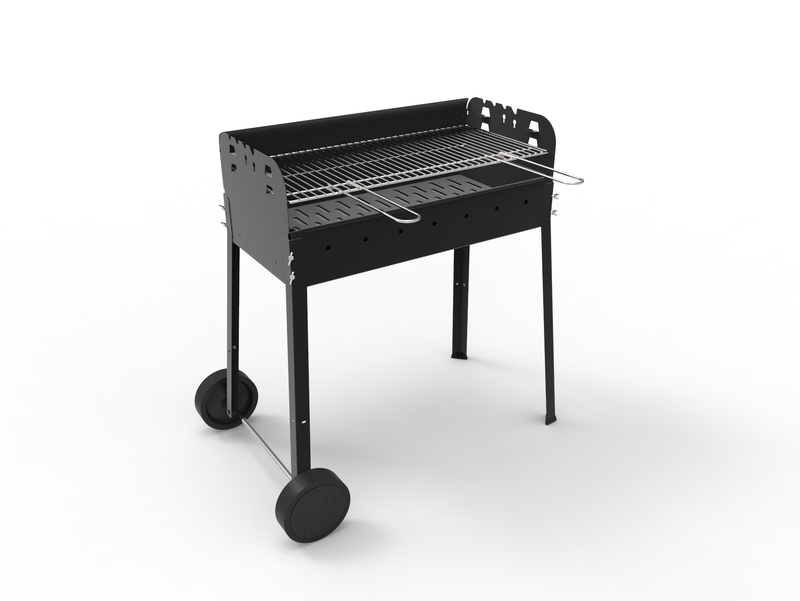 A simple, but very large barbecue, ideal for pic-nics with friends. 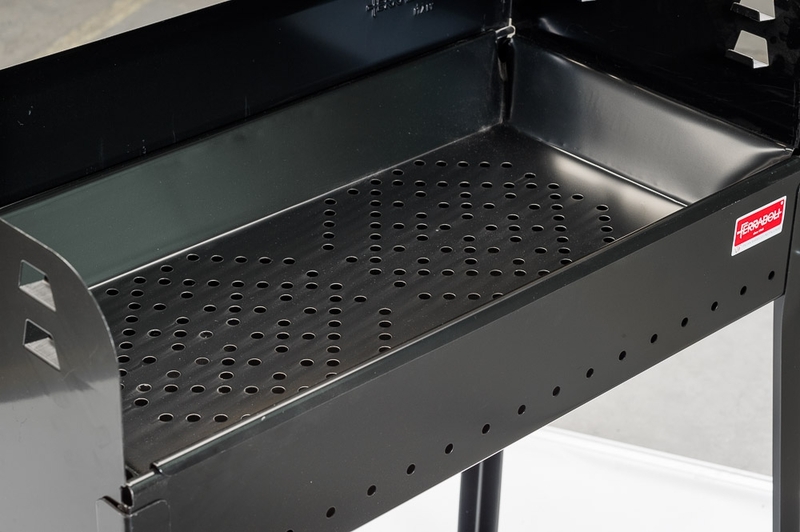 Maggiore is provided with a large 76×35 cm chromed food grid, which is held by three side panels and can be positioned at three different heights over the embers. 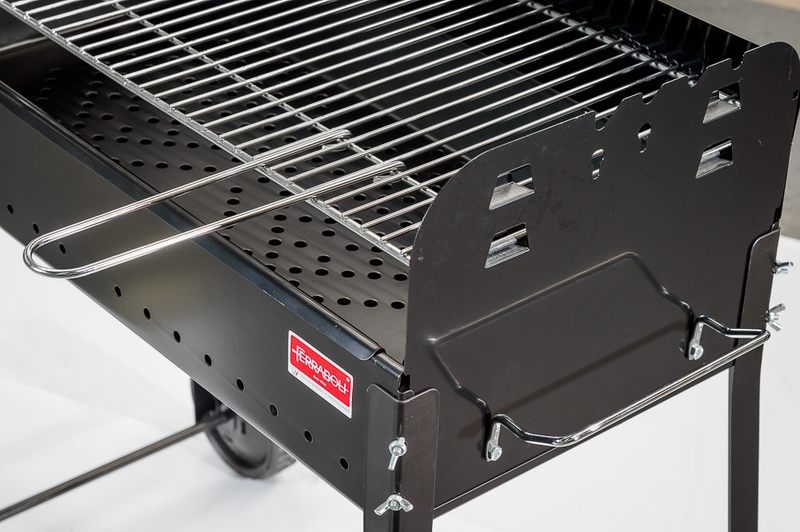 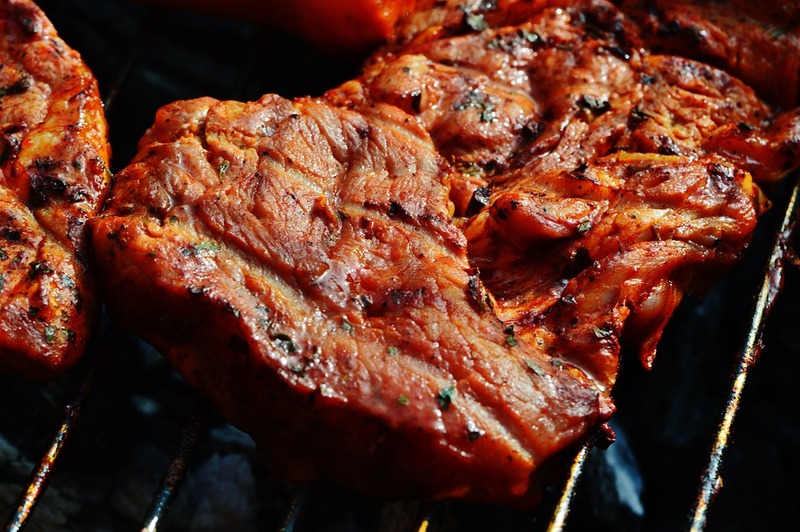 This barbecue has a simple structure that combines quality and good price. 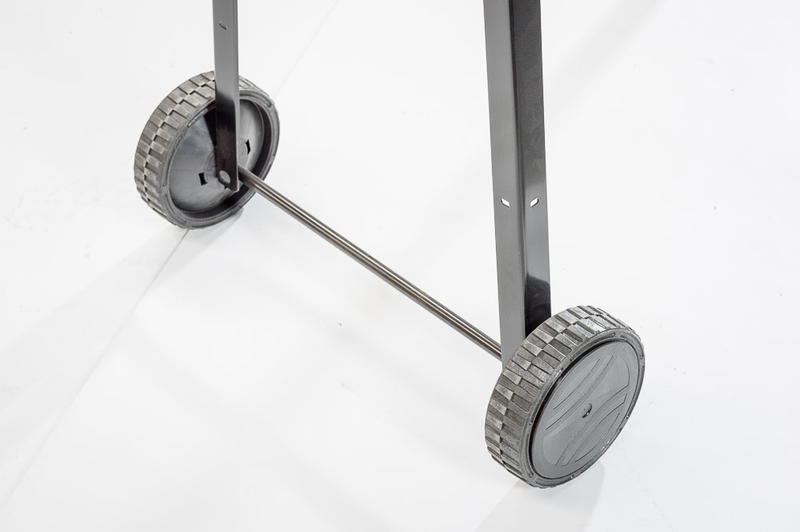 The legs are easy to assemble: you just need to turn the wingnuts that secure the fastening screws, a system of maximum stability.